Which Star Trek: The Next Generation Character Are You? Thread: Which Star Trek: The Next Generation Character Are You? Star Trek: TNG best Star series ever. Which Star Trek: The Original Series Character Are You? Which Star Trek: Deep Space Nine Character Are You? 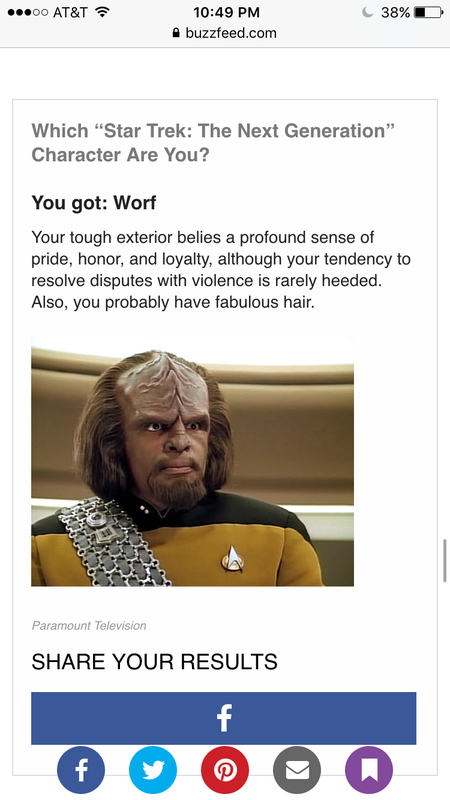 What Star Trek The Next Generation Character Are You?